Keith Urban Bradley Center tickets are still available for the concert on October 13th. This highly anticipated show was announced awhile back, so some of you country fans may have forgotten about the concert. 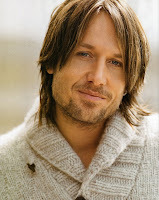 Keith Urban puts on a great show, so you will not want to miss this one. His Get Closer tour, named after the title of his latest album, has received great reviews. Not only is Urban a great performer, but he is also very fan-friendly. Urban is currently on the Canadian leg of his tour and Milwaukee will be one of the last stops of his tour.